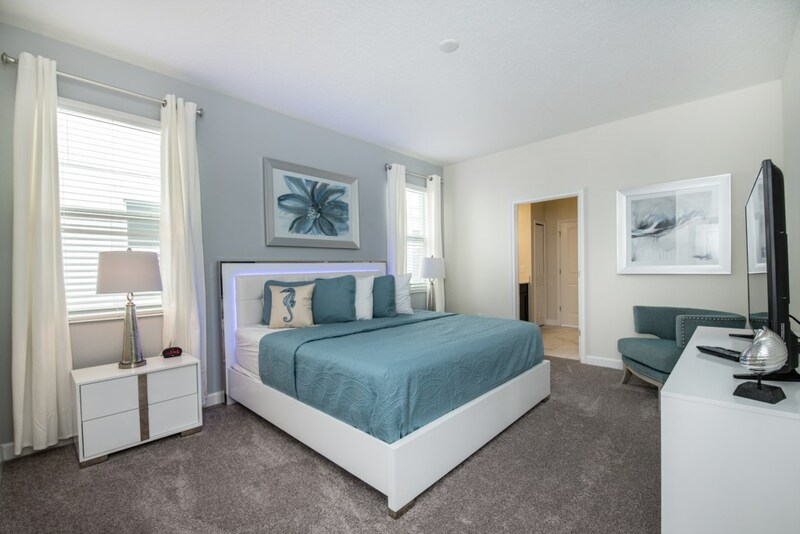 You will feel immediately relaxed as you enter our 8 bedroom, 5 bathroom executive home which sleeps up to 16 in style. 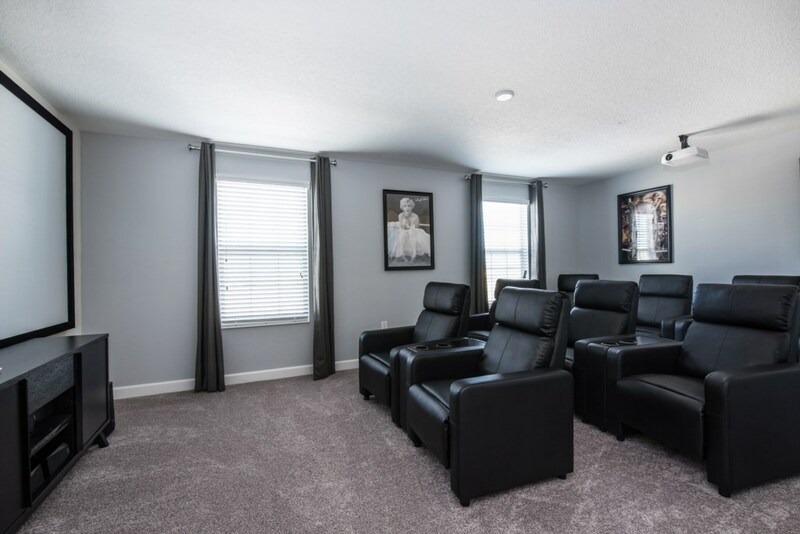 We have paid great attention to every detail when we furnished this home and we hope you will enjoy it as much as we do with our own family. 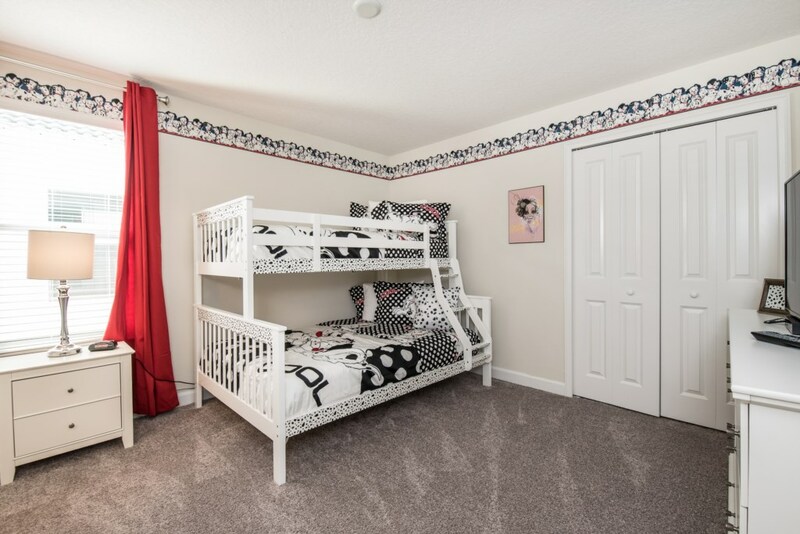 With 5 king bedrooms, One bedroom with 2 full beds, one bedroom with 2 twin beds and lastly a bedroom with set of bunks with full on bottom and twin on top. 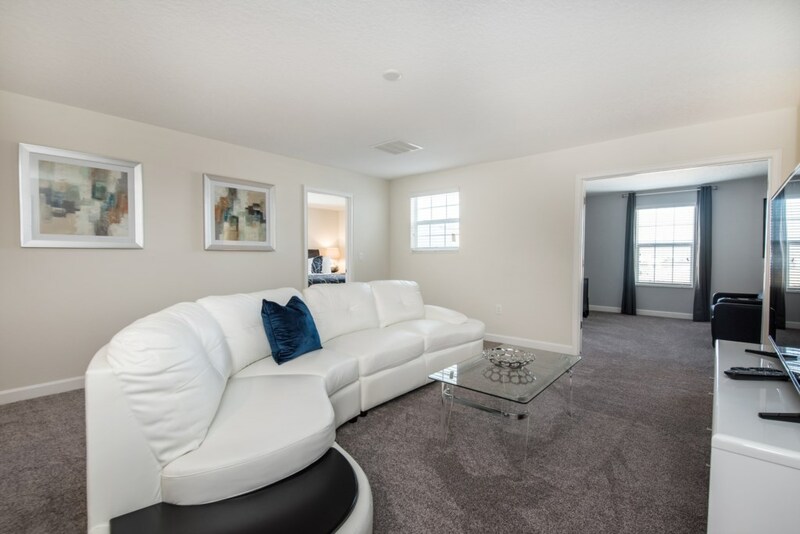 There is plenty of room for everyone to spread out and relax after a day out or just to stay in and take it easy. 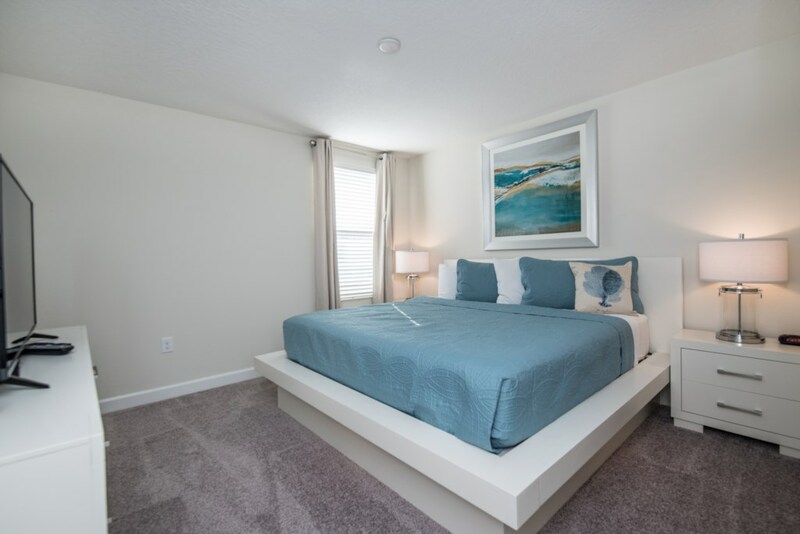 Each room has a different feel so all guests should be equally happy with their room, and all have wall mounted flat screen LED Tv’s. 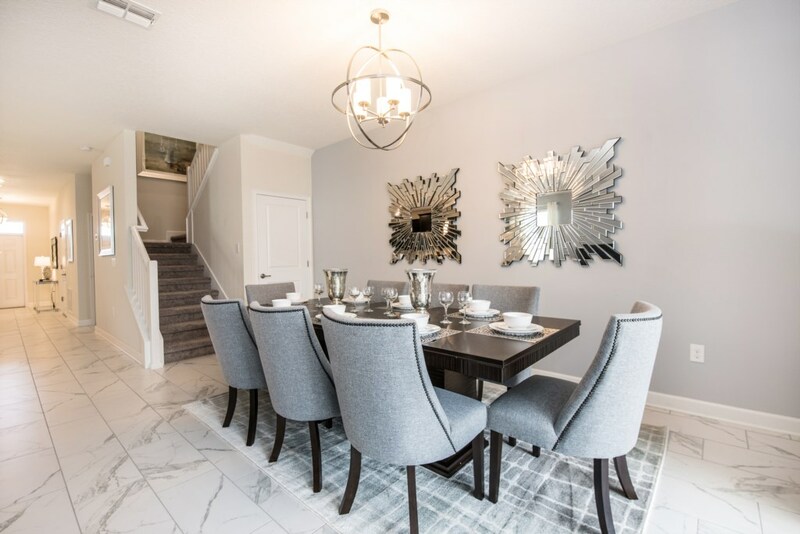 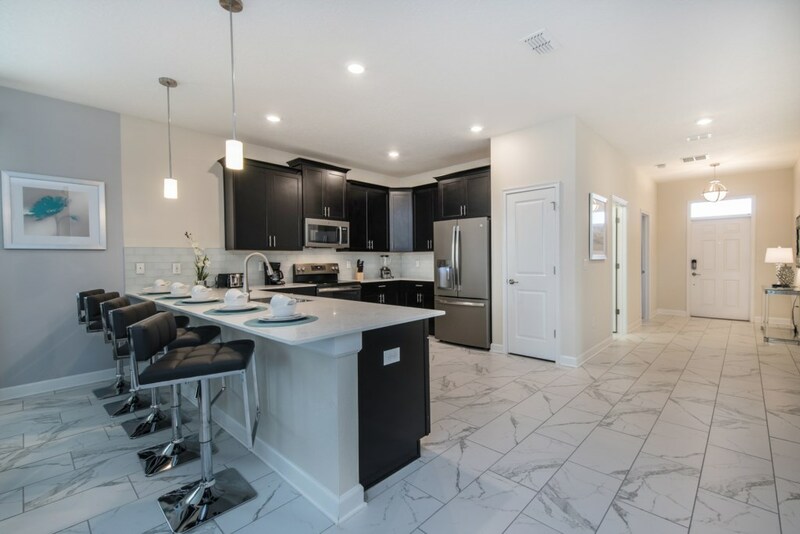 The dining room and living area offers plenty of space to congregate and enjoy meals together, and the bright and airy kitchen has all the appliances that you would expect in your own home. 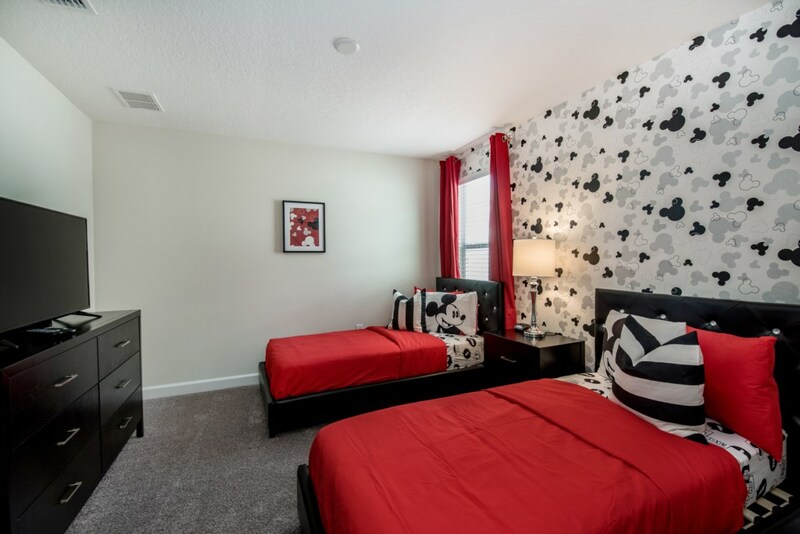 (There is also a full-size washer and dryer). 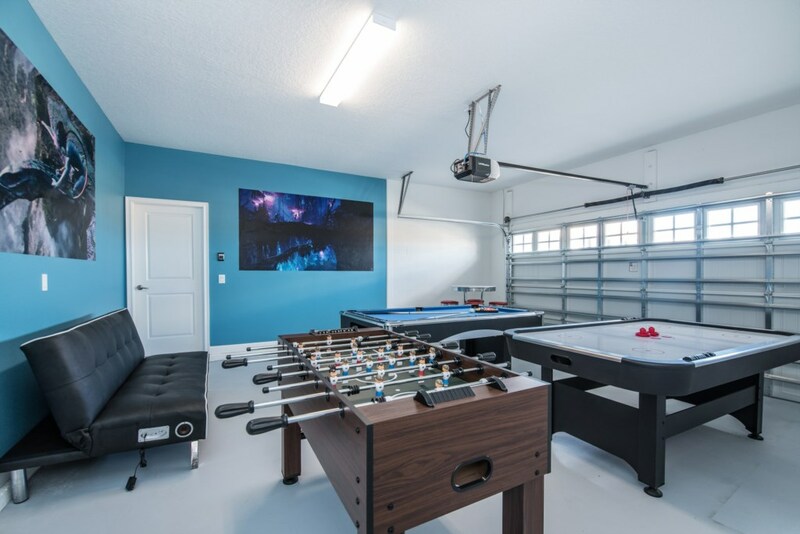 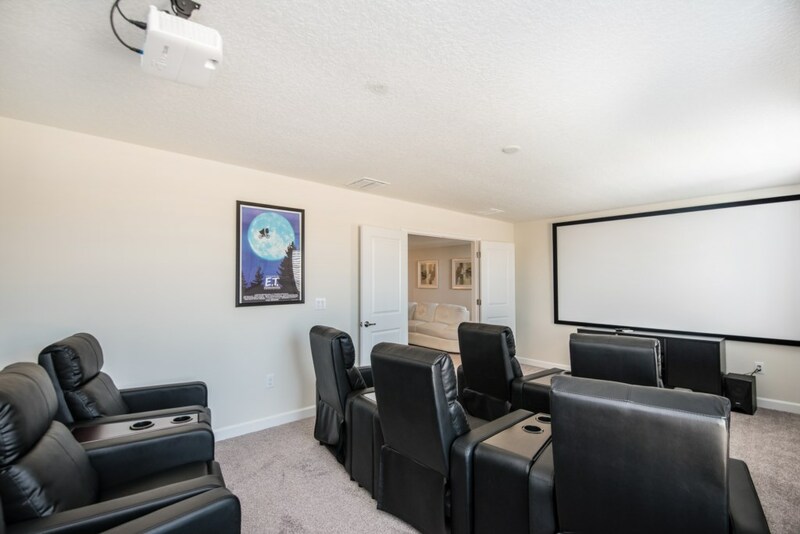 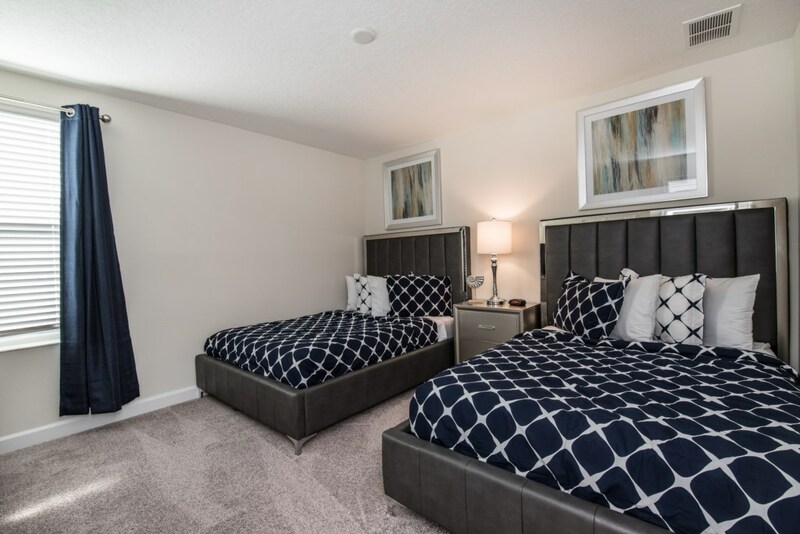 You can also enjoy a game of pool, fooseball or air hockey in the game room, or watch a movie in the huge loft area, Or why not take a dip in the private pool or relax in the spa. 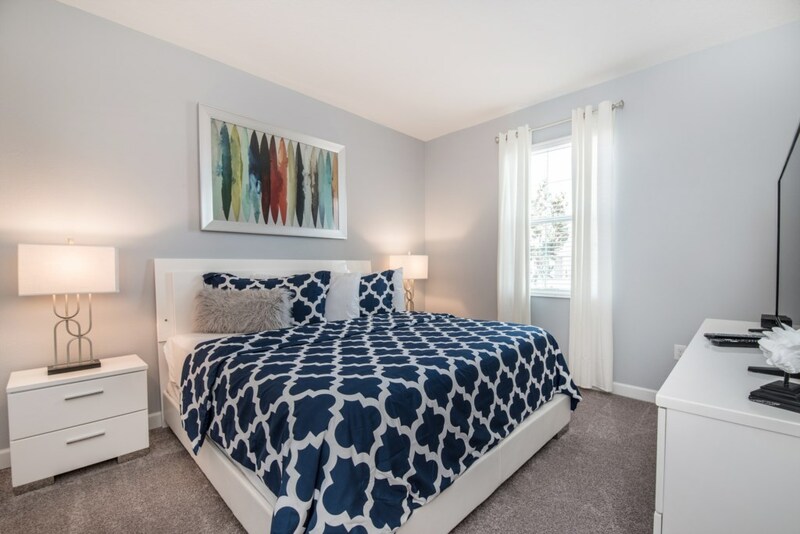 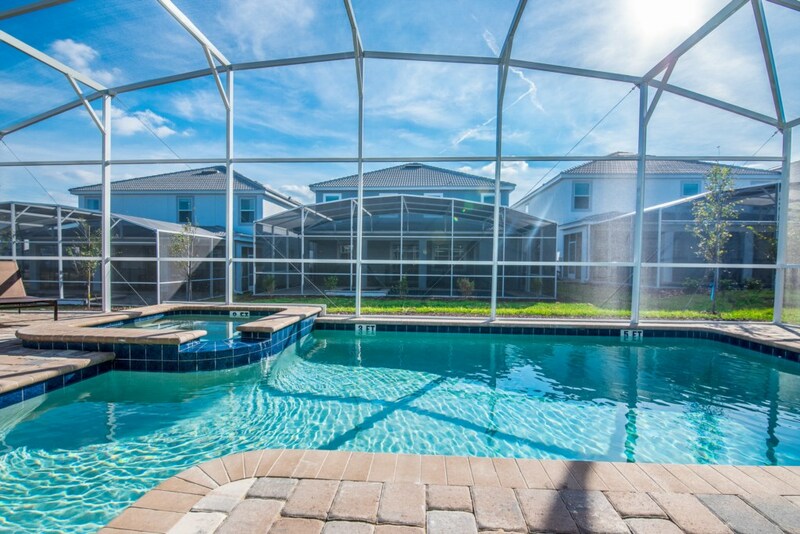 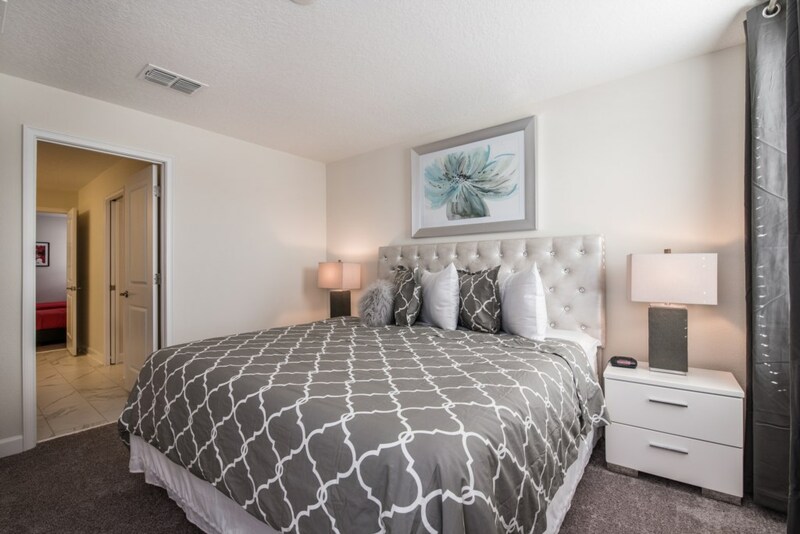 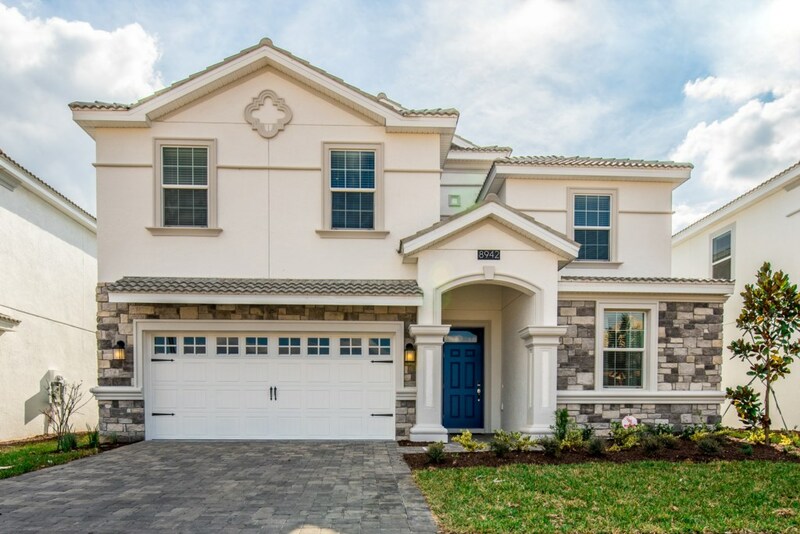 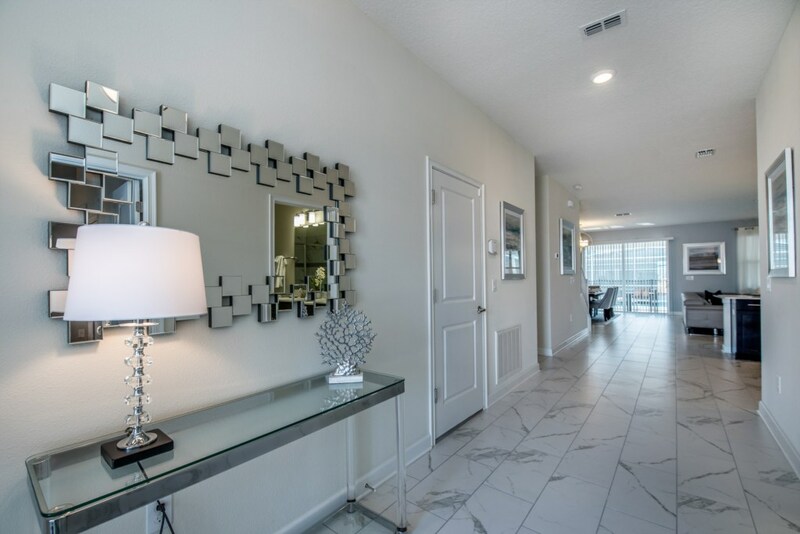 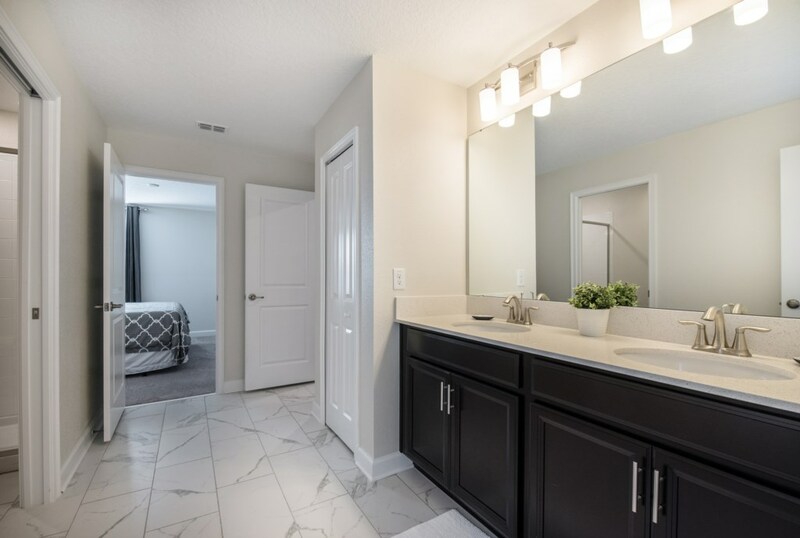 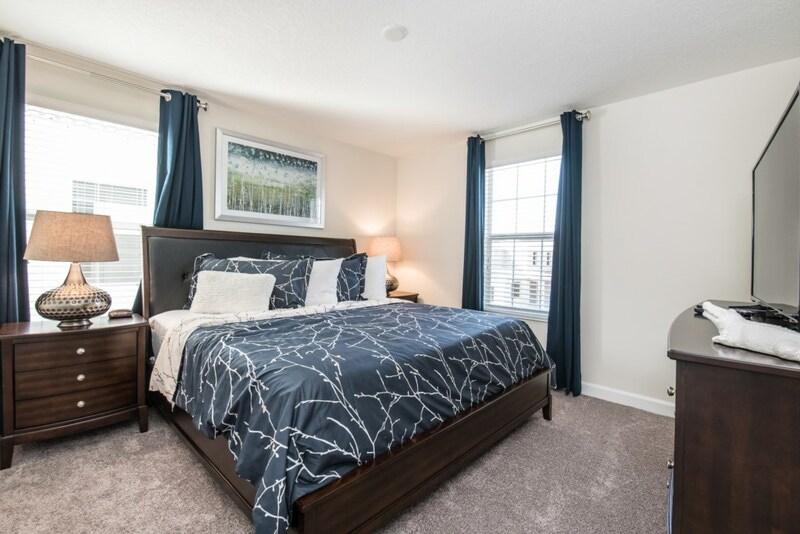 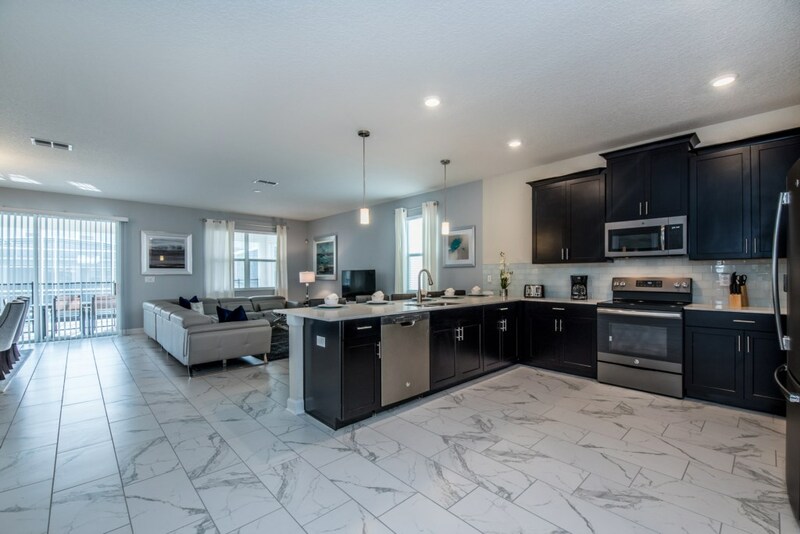 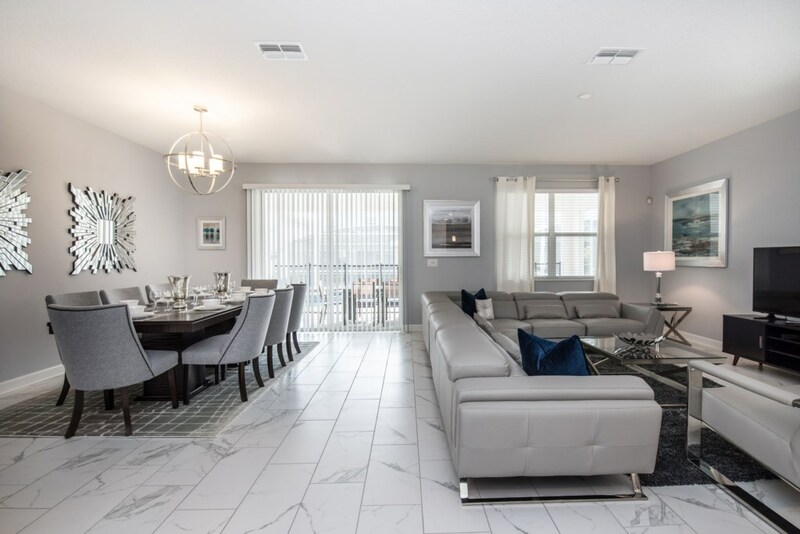 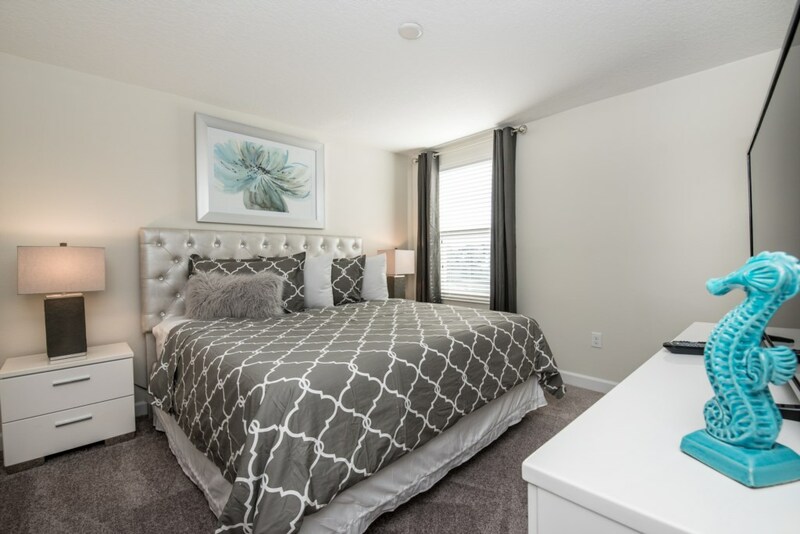 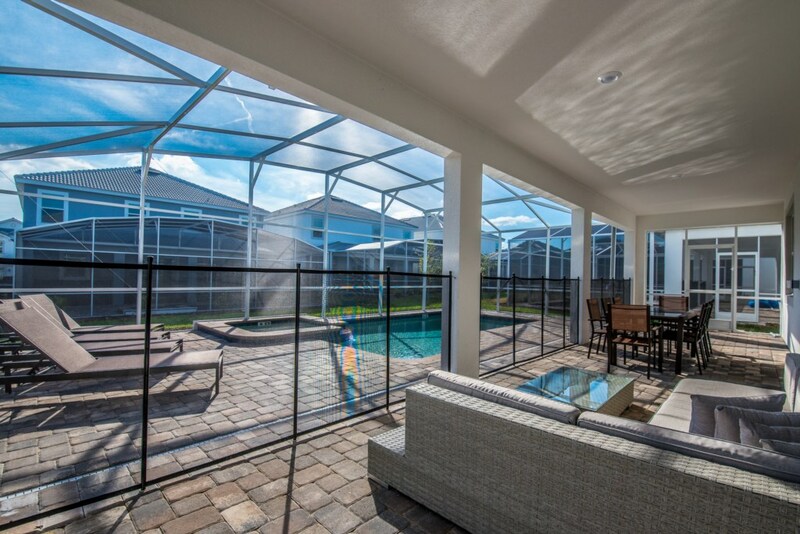 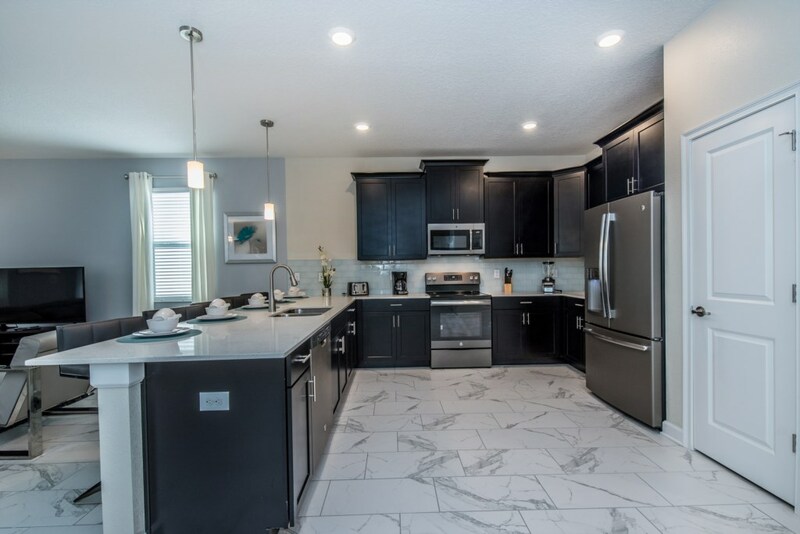 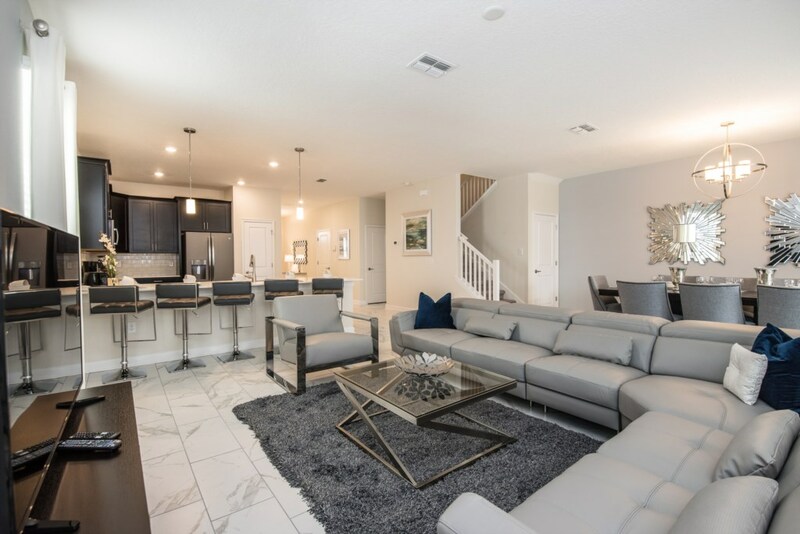 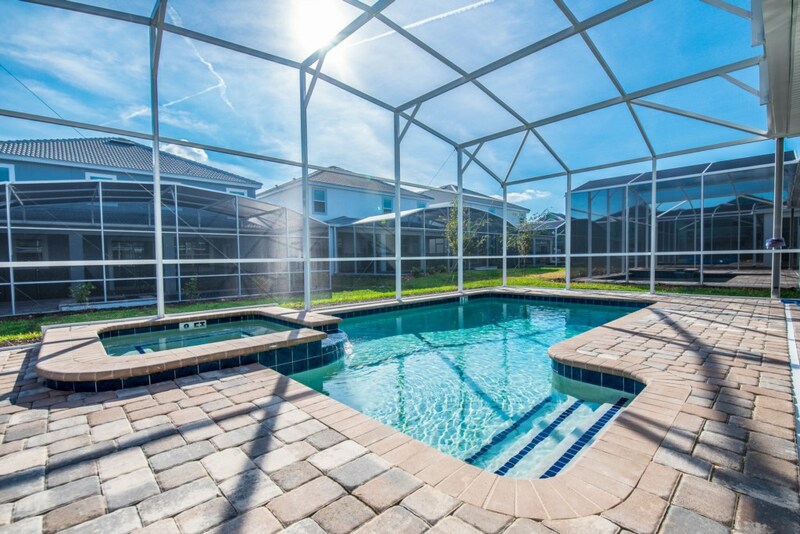 This home will bring all the excitement of Orlando to you, and have the entire group talking about your trip for months to come. 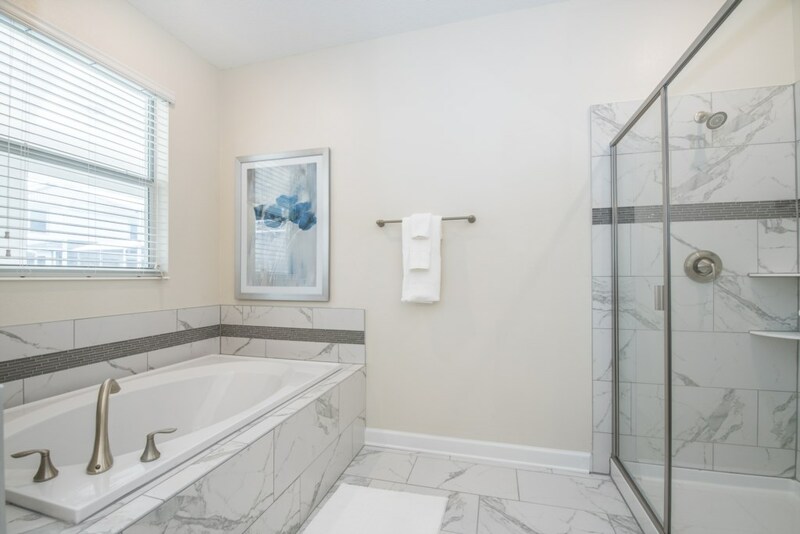 King master, en suite has tub bath, walk in shower, twin sinks. 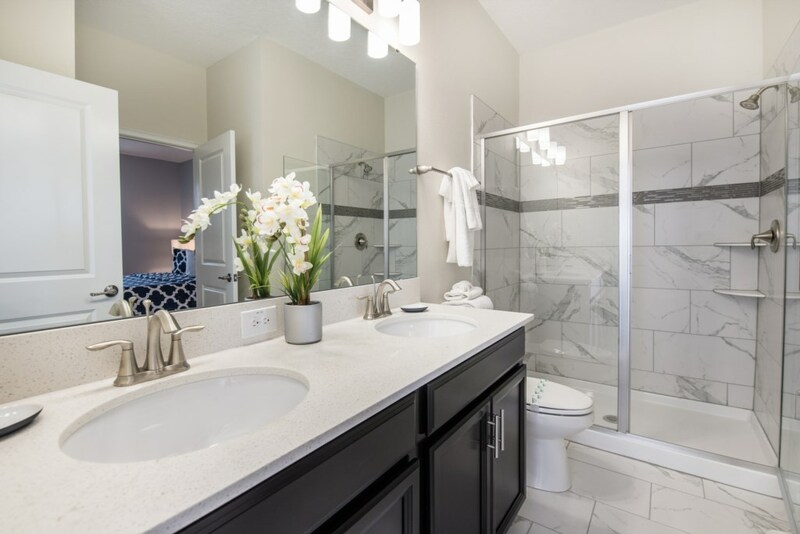 This bathroom can also be accessed from the pool deck area for your convenience.